From the South, take I-95 north to exit #350A (Main Street) and cross the Main Street Bridge (the blue bridge). The Chamber is located at the foot of the Main Street Bridge, which ends at Bay Street. Turn left onto Bay Street. Continue two blocks to Laura Street; turn left on Laura, one block to Independent Drive. Take traffic circle to turn left on Independent Drive. The Chamber is located on left. 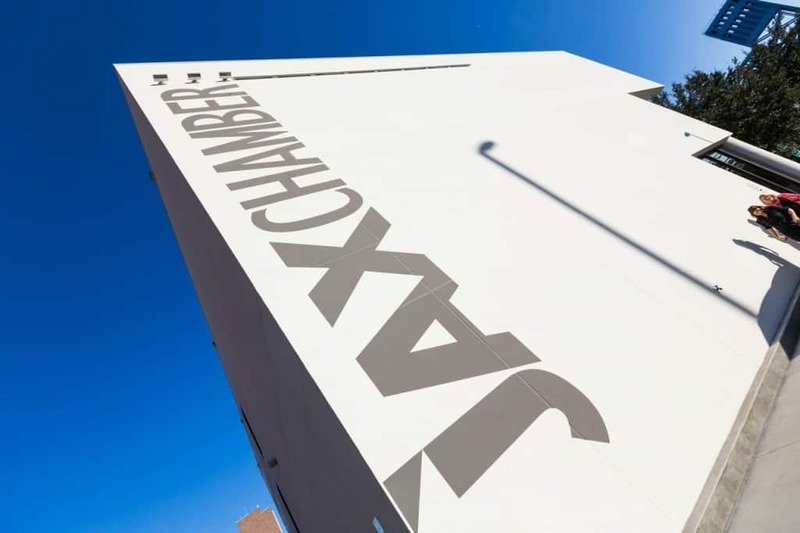 Directions to Parking: For JAX Chamber parking, from the foot of the Main Street Bridge, turn left onto Bay Street, then make an immediate left into the JAX Chamber parking lot. For Jacksonville Landing parking, continue on Bay Street two blocks to Laura Street, turn left on Laura, one block to Independent Drive. Take traffic circle to turn left on Independent Drive and go ½ block. Turn right into the Landing parking lot. From the North, take I-95 South to exit #353B (Union Street). Continue to Laura Street. Turn right on Laura Street to Independent Drive. Turn left on Independent Drive. The Chamber is located on left. Directions to Parking: For JAX Chamber parking, continue past the Chamber to Newnan Street and turn left to Bay Street. Turn left onto Bay Street and make an immediate left, after passing the off ramp from the Main Street Bridge, into the JAX Chamber parking lot. For Jacksonville Landing parking, continue on Bay Street two blocks to Laura Street, turn left on Laura, one block to Independent Drive. Take traffic circle to turn left on to Independent Drive and go ½ block. Turn right into the Landing parking lot. Parking at any City parking meter is FREE after 6:00 p.m.